I've just been finalizing the agenda for our interactive seminar. It's going to be a fun but intensive 2 day interactive bootcamp for aspiring innkeepers. We'll cover everything from the general aspects of hospitality (and some things you'd never think about until they happen) to cooking sessions (with insider tips of what works for a crowd) to heavy marketing, web 2.0, Social Media and of course the business side, financing and investment bottom line. We'll tour some area inns, have some great conversation, wine dinners and camaraderie amongst former, aspiring and current innkeepers. See the flyer for more details. And contact Leslie (info@danforthmaine.com) at The Danforth to sign up. It's DanaMoos.com. 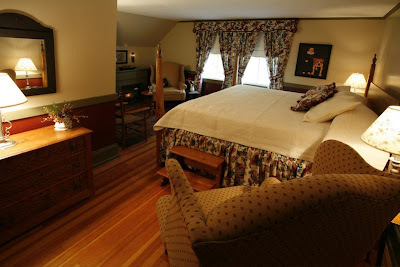 I thought about a variety of names for my new website using relevant terms, Maine Inns, Bed and Breakfasts, etc. but in the end decided to simply go with my name. I hope I've made it simple and to the point. And if anyone has a a suggestion, I welcome it. I want to make it a useful tool for you, the Aspiring Innkeeper. 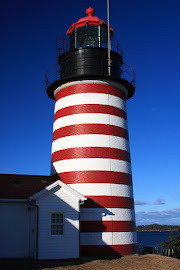 It's now where all of my listings are displayed with links to additional photos and information. I will still post on my blog, but it will be about the innkeeping industry in general, or to announce a new listing. This is Wilson Pond Camps, nestled on a very private 3.5 acres on Wilson Pond in Greenville, Maine. A lesser known lake than Moosehead but spectacular and serene. 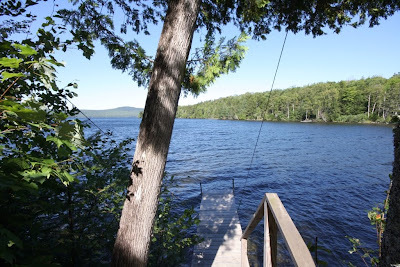 Wilson Pond Camps offers 682 feet of water frontage, 7 completely renovated cabins (each sleeps a minimum of 6) and a beautiful 3 bedroom owner's house, two car detached garage and shed. 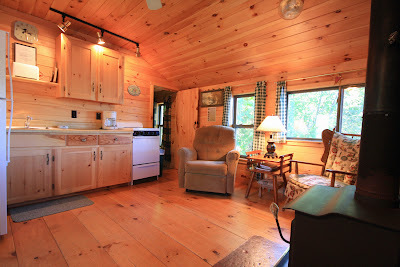 All cabins have beautiful custom kitchen cabinets, hardwood floors cedar interiors. The exteriors are maintenance free vinyl siding. Cabins have all been jacked up where necessary. Each cabin has its own private dock and Adirondack chairs to enjoy the view and the quiet (except for the loons and occasional moose). The owner's home offers 3 bedrooms, full bath, full kitchen, very spacious living/dining room with beautiful interior woodwork and picture windows to enjoy the view. One of the focal points in the room is the incredible Mahogany spiral staircase - an absolute work of art. There is a large laundry/storage area and full basement. Two car detached garage and shed are both done in the same shingle style as the home. The area: The Moosehead Lake Region is a destination of choice for not only nature lovers and those seeking to escape from the stress in their busy lives, but also for eco-tourists. The region offers year round activites. 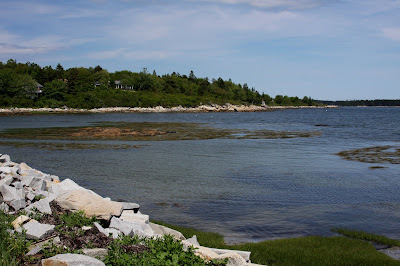 From snowmobiling, snowshoeing, skiing/cross country skiing, ice fishing to hiking, fishing, boating, camping, hunting, swimming, birding, canoe and kayaking, moose safaris, sea plane tours, tours on the steamship S.S. Katahdin, white water rafting, you name it. Lower Wilson Pond is a 130-foot deep, 7-mile long crystal clear LAKE populated with native brook trout, lake trout (togue) and land-locked salmon. Many walk-in trout ponds and streams are available within a 5-mile radius. Both Upper and Lower Wilson Ponds are known for their crystal clear, calmer waters, making it a destination spot for kayaking and canoeing. The warmest temperatures are usually during the months of July and August, but continues into the first part of September. Greenville is an outdoor enthusiast's paradise; unspoiled nature where moose sometimes outnumber people. Yet there are enough restaurants and shops to support the tourist season as well as locals who choose to dine out now and then. 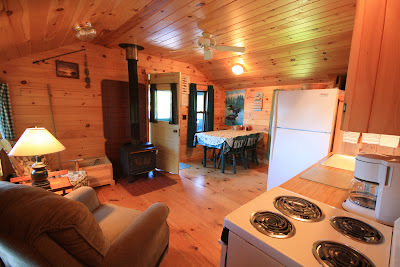 Each cabin is outfitted with a full kitchen and cookware for the guests. Each cabin also has its own outdoor grill, and all cabins share a few outdoor firepits. 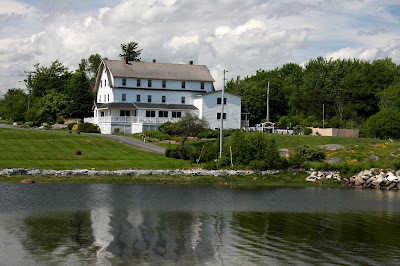 Wilson Pond has entertained guests for many years and has a remarkable repeat clientele who book well in advance for their annual week long stay. This is a fabulous opportunity for new buyers to continue the tradition, run a year round business and enjoy the lifestyle in the beautiful north woods of Maine. Turnkey business and furnishings offered at $1,890,000. Contact me for more information or to schedule a showing. Custom window treatments, bedding and area rugs true to the period are in all guest rooms. 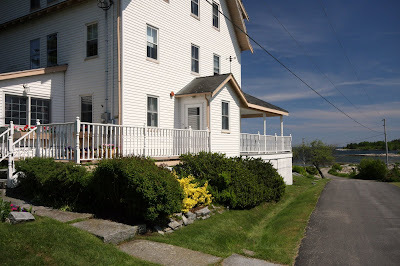 The inn sits on close to one acre on a small residential side street off Route 1, just a short walk to the bustle of downtown. And at 4,700 square feet on two floors, the inn is quite large. The owners quarters are nice as well, offering privacy, a separate entrance, 2 bedrooms, full bath and parlor. The parlor has rough in plumbing to add a small kitchen, but the current owners realized their use of space did not require a second kitchen. The inn's kitchen is very spacious, private and offers table space, separate entrance, and access to the large laundry and storage/pantry. 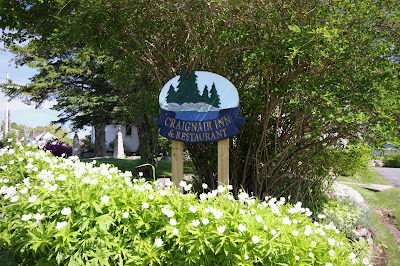 After all renovations and restorations were complete, the owners opened their doors to bed and breakfast guests mid-summer 2006. 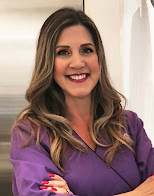 They've built quite a steady business and leave plenty of room for growth for new buyers; they've taken care of the physical structure and have a nice website and marketing program to allow new buyers to walk right into a very turnkey operation.